and most definitely this is in the public interest. Our Government has recognised climate change is a real problem, and that we are overly dependent on fossil fuels. We have been encouraged as individuals to adopt renewable micro generation with subsidies which would previously have only been accessible to multinationals and huge projects. Many people now have photovoltaic (PV) panels which receive FiT (feed-in-tariff) payments and there is the same encouragement to adopt small-scale wind turbines. In order to permit generating equipment to be connected to the public electricity supply and therefore be eligible for FiT payments the equipment must be certified to meet relevant standards. The Government operates a scheme called the 'Micro-generation Certification Scheme' or MCS and both the equipment and the installer must be on an approved register. While this means extra cost it makes a lot of sense for individuals because generally, they don't have access to the detailed engineering design or test details necessary to verify the quality and performance of their prospective purchase. A PV installation or a wind turbine is a major investment and only likely to be made once by an individual, so there is not an opportunity to learn from any mistakes nor the possibility to write off losses against tax as is the case with a business. To ensure public approval a robust certification scheme is vital. Something has gone badly wrong because I have purchased MCS approved equipment and it doesn't work. Initially I was hoodwinked into believing it must be due to a faulty tower, because the turbine had a "30 year track record", but that was just marketing - the turbine itself has very serious problems. These are not minor teething issues, it has multiple major flaws which make it unusable and potentially dangerous! It is unclear how my turbine received certification, it is so clearly and obviously not fit for purpose. I have since discovered that BRE Global were paid directly by Bergey to provide MCS product approval. MCS has no independent method of checking the scheme is working properly and when things go wrong they simply ask the original certification company to investigate, despite the potential conflict-of-interest. BRE Global may be a 'UKAS accredited certification service' but read on to see what they did once my problems were flagged up to them. 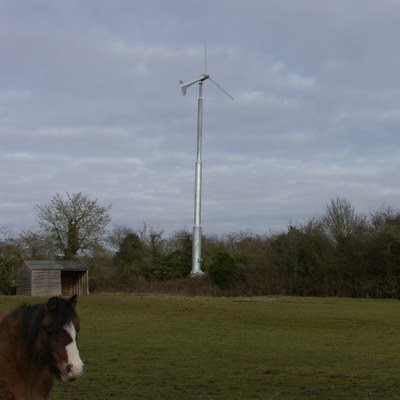 Bergey's sole UK and Irish agents, SIAC Wind Energy Ltd, initially tried to fix the problems with my turbine, but they were grossly incompetent and dangerous to the extent that they nearly caused the tower to collapse. SIAC eventually admitted they couldn't fix it and offered some of my money back, but only if I signed a 'release deed'. This turned out to be a tool to force my silence with a significant gagging clause. If I had signed the SIAC document I couldn't talk about any of this ever again, nor could I even mention the existence of the settlement document. If I violated the terms I could leave myself liable for any lost profits from future SIAC sales !! or they abuse a position. Read this account and see how well it fits the definition, but it is a government body operating a high profile government scheme so you can imagine the difficulty in getting this taken seriously. One might think that because this turbine is certified and approved under the government MCS programme there would be some concern over this failure. However, after over a year of discussion I conclude that the MCS programme is NOT credible and offers NO protection to consumers. In reality it is administered by people who have little understanding of fundamental engineering principles and then obfuscate, delay, hide or divert blame; but most worrying MCS capitulate in favour of an unscrupulous manufacturer when turbines are literally collapsing. According to the SFO definition this may actually be FRAUD, at the very least it appears as if the UK Government is operating a state sponsored con-trick !! There is a large amount of detail, some of it a little technical, as this saga has now run on for over two years. This write up is, resume of events in five parts. If you are short of time, start with this page ('Introduction') and then jump straight to 'Part 3: Summary'. PART 1 is the selection process, planning and building of a wind turbine. PART 2 is where it goes wrong and SIAC Wind Energy Ltd show their nasty side. PART 3 is a summary of the problems, some of which are quite damning. I have tried to be objective and am happy to list the good points too. PART 4 is a follow up as I try to stop this happening to other people and discover a similar story in Skye where the SIAC/Bergey turbine fell down after suffering identical noise and vibration issues! PART 5 is where I look at my options. Can I fix this myself? Possibly, but it will be a difficult, expensive and time consuming process.